When a property has its own private airstrip, you know its guests are seasoned travelers with discriminating palettes. 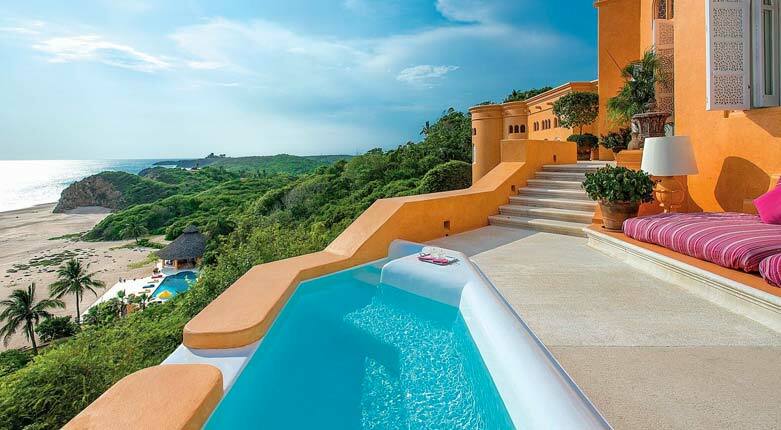 Celebrities like Tom Cruise, Bill Gates and Ralph Lauren have vetted out the ideal secluded getaways, and the striking Cuixmala resort and villas in Careyes, Mexico is on their radars. 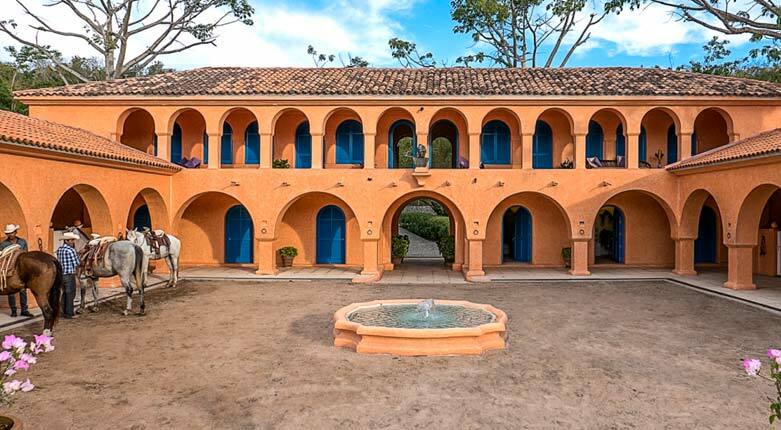 Formerly the private home of a British billionaire, this sprawling estate on the Costa Alegre offers many excuses to indulge. Here are our top five. In addition to the centerpiece villa and its surrounding bungalows, the resort offers hillside casitas and private villas with spectacular views. 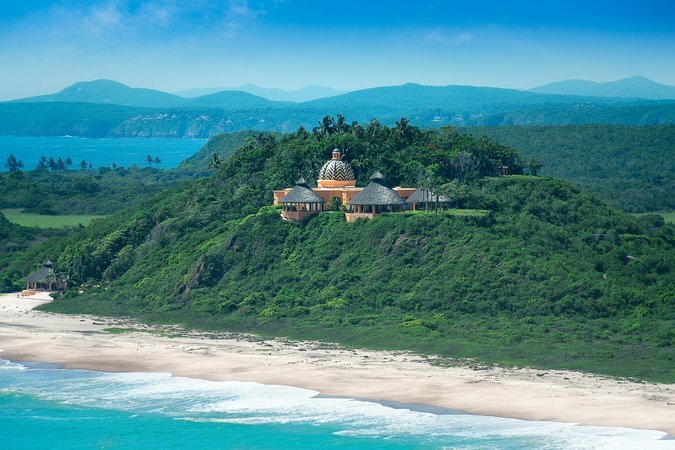 Nestled into a verdant 25,000-acre nature reserve, Casa Cuixmala La Loma reflects moorish-inspired architecture, a harmonious complement to this tropical Mexican utopia. As the largest of the resort’s four villas, it houses a resort restaurant and four gorgeous suites which are rented individually or with the adjacent seven bungalows, giving your group of 22 guests the ultimate privacy. 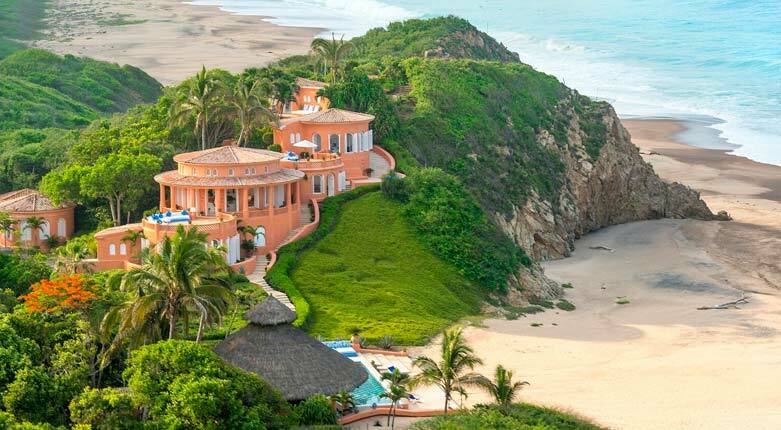 One of our favorite private villas is the luxurious Casa La Playa which sits directly on a private flaxen-sand beach with stunning views of the Pacific Ocean. Tucked away in lush gardens, the spacious villa boasts polished interiors, a beachfront swimming pool and room for eight guests. Plus, each elegant villa is fully staffed, so you won’t lift a finger. 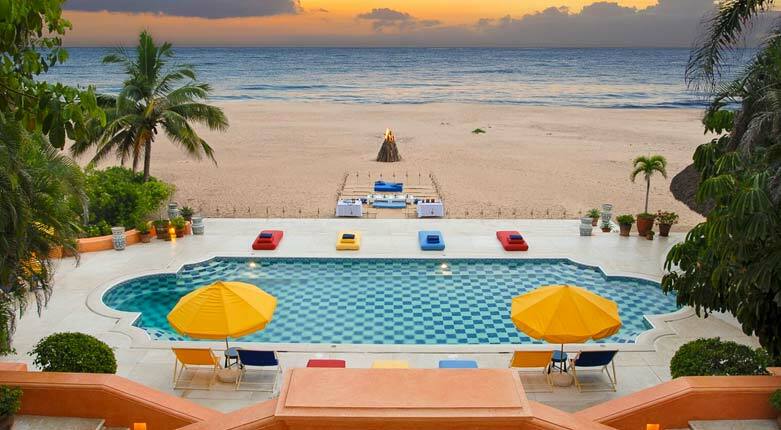 This posh getaway features three stunning beaches. 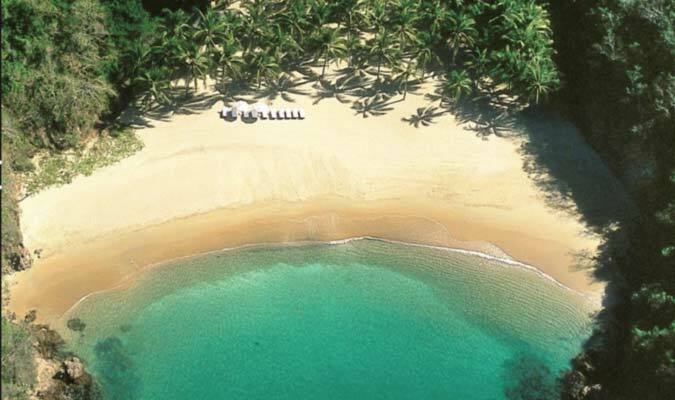 Playa Cuixmala, an unsoiled beach with golden sand on the Mexican Pacific, is the jewel of the property. Serene and secluded, it’s a gorgeous oasis. Playa Caleta Blanca, is another white-sand beach on a smooth bay to swim, snorkel, fish and kayak. With full facilities, guests can spend the day relaxing under an ocean-side palapa, lounging in a hammock beneath two coconut trees. At Playa Escondida, hidden grottos and rugged coastline make the perfect backdrop for a romantic picnic. Architecture Digest deemed Cuixmala one of the best hotels to experience nature. At Cuixmala you’ll encounter the world in unique ways. 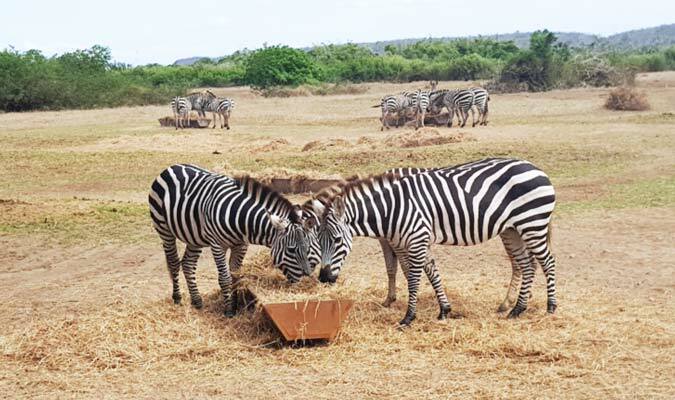 Come face-to-face with exotic animals including majestic gazelles, zebras, and antelopes at the on-site Wildlife Preserve and Animal Santuary. The Marine Turtle Conservation Program is a great place to have a hands-on learning experience as well. Cuixmala has protected more than 10,000 turtle nests and released over half a million newly hatched turtles since its inception in 1988. 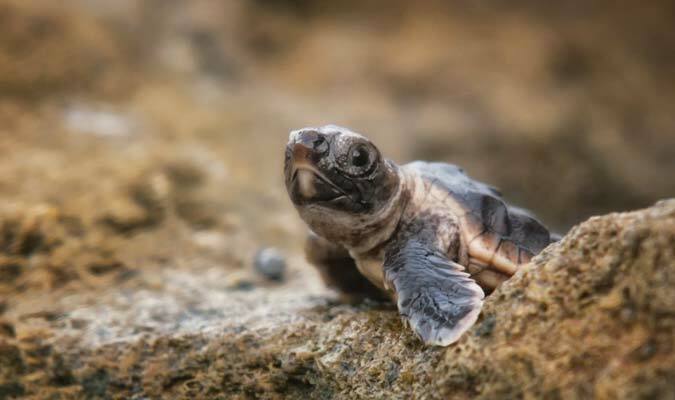 From July to April, meet newly hatched turtles and even help release them after dark as they journey to the sea for the first time. 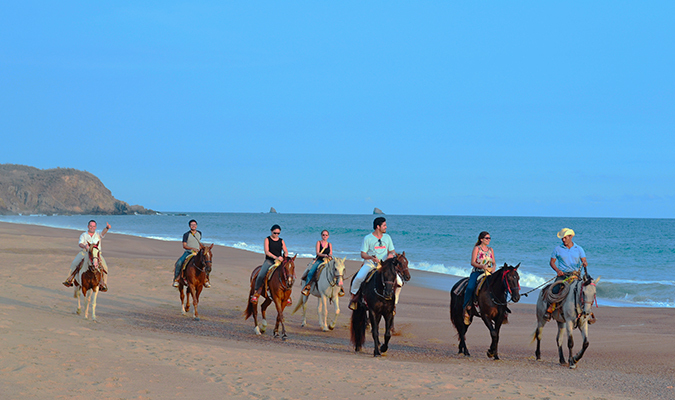 Cuixmala has its own stables, so guests enjoy the serenity of riding on endless trails and unspoiled beaches. 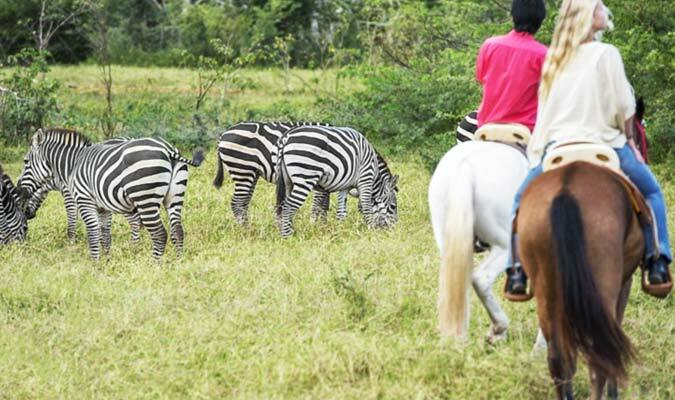 What other resort offers horseback riding alongside a herd of zebras? Guests are able to participate in the successful TURTLE PROTECTION PROGRAM. All the delectable food at the resort is made from fresh ingredients produced mostly by Cuixmala’s own organic farm or by the family’s ranch. We think seafood tastes even better when it comes straight from the sea to your table! 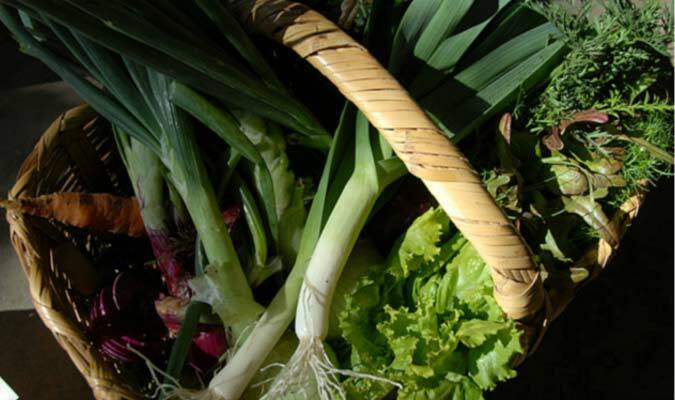 Don’t take our word for it; visit the organic gardens for a chance to learn about Cuixmala’s biodynamic farming operations that provide the produce for the restaurants. Wander the coconut plantation, citrus and mango orchards, banana plantation and plant nursery any time of day, on your own or with a guide. You definitely won’t run out of lively recreation during a stay at Cuixmala. Tennis, yoga, mountain biking, surfing, scuba diving, snorkeling and sailing are just some of the experiences available on and near the property.